As training managers and SMEs, we are often involved in discussions with e-learning developers to choose the right authoring tool for our online training programs. Based on the way they are hosted, authoring tools can be classified into two categories. Up until a decade ago, desktop authoring tools were the choice as most applications were installed on a local computer. But, with an increasingly mobile workforce, cloud authoring tools are rising in popularity. Here are some parameters that we can look at, to give you a quick comparison between desktop and cloud-based authoring tools. With desktop authoring tools, a cost is involved in purchasing licenses depending on the number of systems that you plan to install the software on. For every upgrade or new version, an additional cost of purchase is involved. Most cloud-based authoring tools are offered on a software-as-a-service (SaaS) basis. This means that you pay for the authoring tool as you use it. You automatically receive new updates to the tool at no additional cost. Cloud-based authoring tools emerge as the clear winner on the cost factor. With desktop authoring tools, content updates are not reflected immediately. Any change made to the content is saved locally, before it gets shared. On the other hand, content updates and changes are a breeze with cloud-based authoring tools. Do you want to get an SME sitting across the globe, to review your online training program and give comments? Cloud-based authoring tools offer the flexibility to work or review the project from any location. Many desktop authoring tools do not work on Mac operating systems, but with cloud-based authoring tools, you can bid goodbye to platform compatibility issues. Cloud-based authoring tools score big on the flexibility factor. With a traditional desktop authoring tool, each author works independently. Once content is created, it has to be published and shared in order for others to view it. If you have to review and make changes to the content, it sure is going to be a lengthy process. If you have chosen a cloud-based authoring tool, more people can work on content creation or updating simultaneously. Imagine the time it would save in project completion. Cloud-based authoring tools win this round, hands down. Desktop authoring tools, like Adobe Captivate and Lectora Inspire, offer complex features and as a result have high learning curves. Users of these tools will either need to undergo some training or spend some time exploring the tool in order to work comfortably. Again, cloud-based authoring tools emerge the clear winner when it comes to ease of use. If you need branched scenarios included in the online training program, desktop authoring continues to remain the tool of choice. If you are including highly-interactive games or complex templates, then desktop authoring tools rule the roost currently. Cloud-based authoring tools are more useful in designing simple online courses, rapidly. But with new cloud-based authoring tools being introduced, this parameter may soon become a bone of contention. 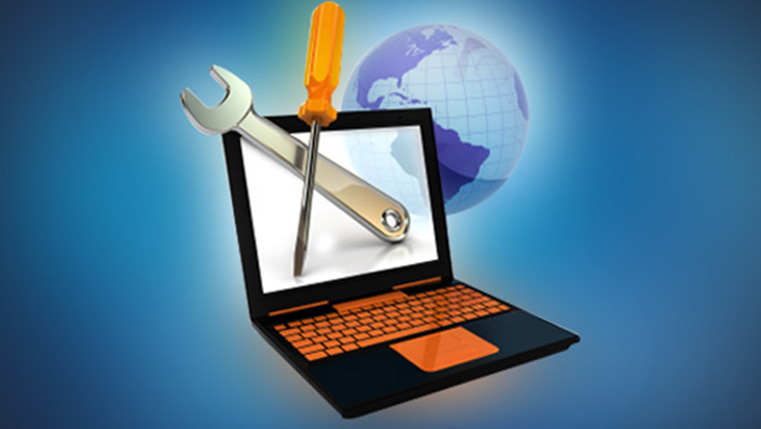 For now, desktop authoring tools remain the choice for complex online trainings. Many organizations avoid investing in cloud-based authoring tools as they think they are not secure. But the truth is, cloud-based storage is more difficult to hack than a physical server or desktop computer. Cloud-based authoring tools already bring a host of benefits. All that is required is the addition of a few more functionalities, and cloud-based authoring tools will be all set to turn into the future of e-learning authoring tools. Do you think cloud-based authoring tools will be more extensively used in future as compared to desktop authoring tools? Do share your comments.